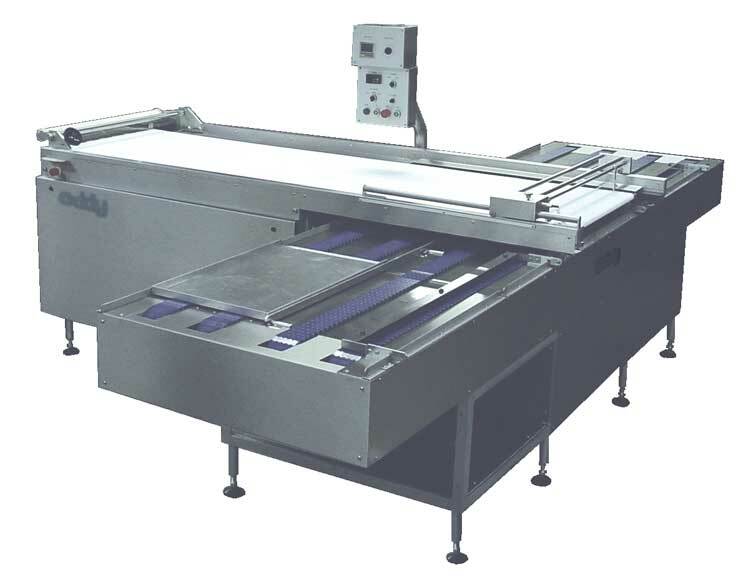 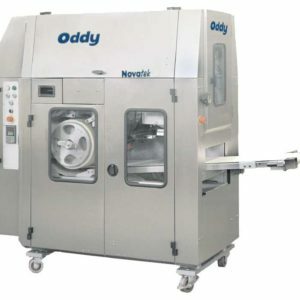 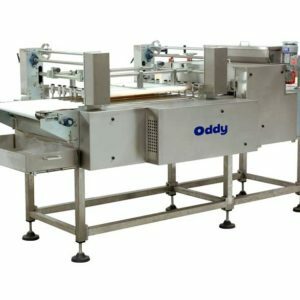 The Oddy cross conveyor will automatically feed in and position bakery trays below the panner ready for receiving products. 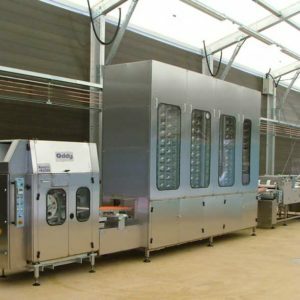 Once loaded the trays are then transported out. 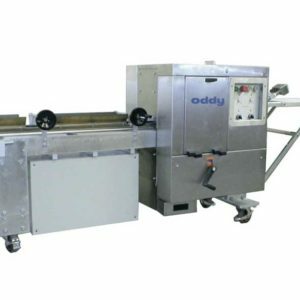 Each Oddy cross conveyor can be designed to suit individual customer specifications and can be inserted into the customers’ own tray feed systems if required making the tray feed system fully automatic. 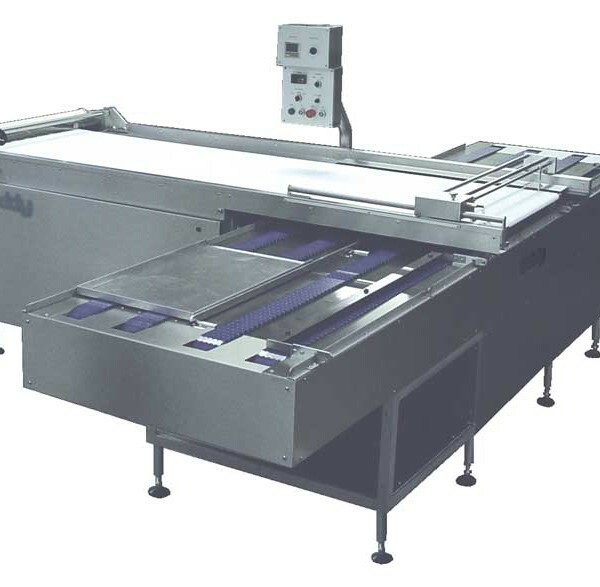 For optimum efficiency the baking trays should be flat and free from distortion.